In 2004, my fiancée was posted to a yearlong volunteer job in Sri Lanka. I willingly joined her, inspired by the opportunity to explore this fabled South Asian island: Pearl of the Indian Ocean, Nation of Smiling People, ancient land of Serendib. As an emerging travel writer and editor, I imagined I could use the unfamiliar location and the discovery of its history, culture and landscapes to indulge in my craft. What we experienced changed us forever. We were in the country during unique and trying times, including the devastating Indian Ocean tsunami, a fragile civil war ceasefire, and a bitterly contested presidential election. Even in the face of so much turbulence, rather than finding ourselves as outsiders inured to others' troubles, we were embraced by the communities in which we worked and, in turn, developed a powerful bond with and concern for their well-being. Particularly meaningful to me were the weeks and months immediately following the tsunami, when I was assigned to survey Sri Lanka's coastal regions for a travel guide. Many of the people I met were still traumatised by natural disaster, war and political injustice. And yet also unified in believing that they would eventually rebound, find their way out of crisis and lend themselves to sharing Sri Lanka's captivating beauty. Their passion for the land they called home became my passion too. In fact, despite the tumult, my fiancée and I decided to get married in Sri Lanka – our official wedding certificate is in Sinhalese – and welcomed our families and overseas friends to the country for a 10-day tour, including the attractions of Colombo, the train trip to Kandy on one of the world’s most scenic rail lines, natural and heritage highlights of the Cultural Triangle, a peek inside the walls of Galle and quiet time in the Hill Country, all within easy sniffing and nibble distance of Sri Lanka’s inimitable rice and curry dishes. The tour was capped off by a ceremony against a backdrop of tea plantations and infinity views from a lodge on the edge of the southern escarpment. It was as magical then as the memory of it is today. For me, the affection for the people and country of Sri Lanka extended well beyond our year-long residency. As a writer focused on responsible, sustainable and local travel, I joined forces with a major Sri Lankan national NGO to research, write and design a special “responsible travel map” of the country. From off-the-beaten-path waterfalls, gardens, tree nurseries and other hidden natural areas to little lace-making collectives, traditional arts cooperatives and local lodges emphasizing ethics over earnings, it included people and organisations that urged accountability, and places where nature and animals come first. Sadly, given the challenges of the moment, the map was a bit ahead of its time. 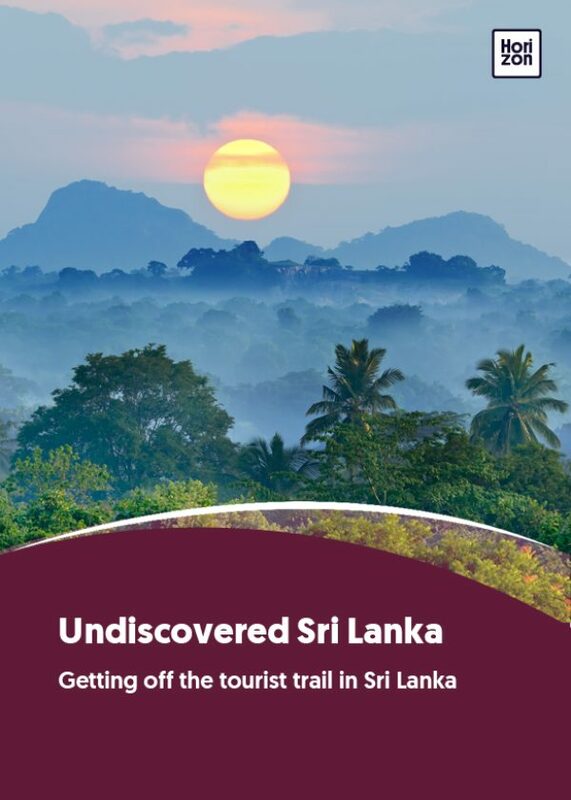 Just a few years later, with the long-awaited end of hostilities in 2009, tourism in Sri Lanka started picking up enormously, paving the way for new development and opening new areas to mainstream exploration, not all of it as conscientious as it could be. Thankfully, this guidebook taps into so much of the wonder that I encountered, as well as the concern about conscious tourism. While not shying away from acknowledging the country's list-topping attractions, it takes a strong and appropriate stand on pointing travellers to less-visited places that carry the same (if not more carefully managed) exciting ‘oomph’. Herein is a fine collection of natural expanses, cultural heritage and active pursuits that make me wish to visit the country all over again.